In the previous post I pointed out that solving the Evangelical’s creation conundrum is like navigating between the Scylla and the Charybdis. Now I want to explain why understanding the wisdom worldview will help us better understand the relationship between science and Scripture so that we can steer unscathed through this treacherous route. You may have heard all kinds of “definitions” of wisdom. Maybe you’ve heard it compared to common sense or to doing the right thing at the right time. Or maybe you’ve looked it up in the dictionary to get the official definition. The problem is, wisdom is more than just something that people possess. It defies definition and it transcends creation. You cannot break wisdom down and analyze it because wisdom is more than the sum of its parts. Wisdom, actually, is different than the sum of its parts. How can we begin to understand wisdom? Maybe starting with a definition is not such a bad idea. So what I offer here is my best shot at defining the indefinable. Read it, reflect on it; but realize it is only a starting point. Realize that this definition gives us a handle for wisdom but that wisdom, once we begin to see its many faces, is something that we cannot hold on to, nor will we want to hold on to it, any more than we we want to hold a tiger by its tail. Wisdom is all the knowledge and skill and discipline of life that we gain as we observe the order of God’s creation and learn to live within that order. From the definition above you see that wisdom is something people can acquire or possess. But that is precisely the main problem with definitions of wisdom. Wisdom is not just what we gain when we observe the order of God’s creation, wisdom is the very basis of that order. From Proverbs 8:22–31 we see that wisdom is rooted firmly in God, that it precedes creation itself—even that the creation order arises out of wisdom. When he assigned to the sea its limit, so that the waters might not transgress his command, when he marked out the foundations of the earth, then I was beside him, like a master workman. A Hubble photo of the Whirlpool Galaxy which is about 23 million light years away from our Milky Way and can be seen with binoculars. 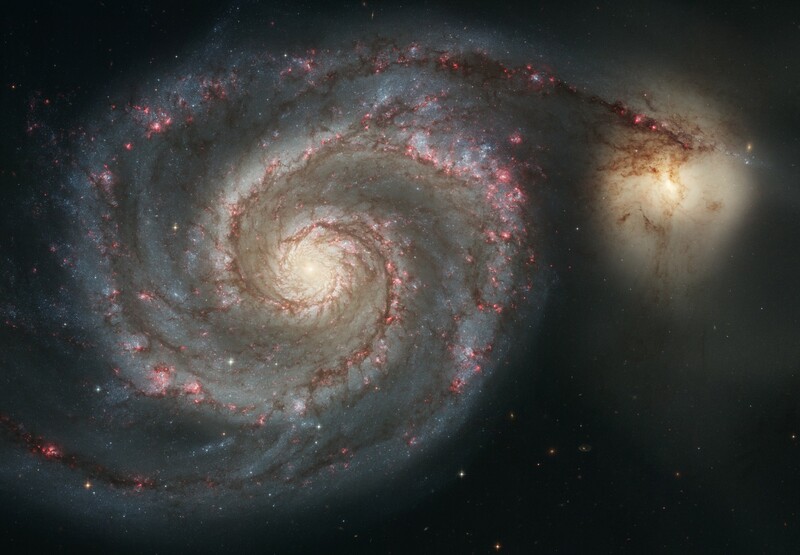 This is a spiral galaxy with two arms forming logarithmic spirals. Image credit Public domain. While it’s true that in some sense we “acquire” wisdom when we increase our understanding of the world, we still don’t really “possess” wisdom. Wisdom is not dependent upon us. This text from Proverbs 8 teaches that wisdom did not come into being when people were created. Not only does wisdom precede all of creation, God fashioned everything according to wisdom. Wisdom belongs to God, it is an expression of who God is, what he values and what he is like. That’s why it is no giant leap to think of wisdom as the matrix in which science and revelation were formed and out of which they both arose. There is no science (which deals with the physical world) or revelation (which is given to people) without wisdom. The goal of the next three posts is to explore this relationship more thoroughly by offering a general description of the wisdom worldview in this post and then use the next to spiral in closer to a biblical and theological description via the “fear of Yahweh.” This will prepare us for the third post where we’ll see how science and revelation each relate to wisdom so that, finally, we’ll be able to look at the consilient relationship between science and revelation. Consilience is the idea that evidence from multiple sources confirms a single truth. 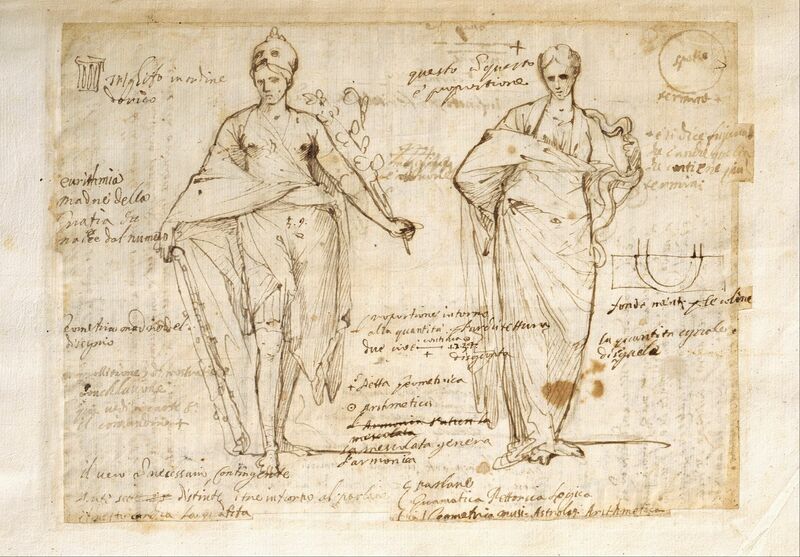 Consilience both assumes and points to the unity of knowledge. Knowledge gained from both science and revelation will ultimately exhibit a deep unity in the matrix of wisdom. Behind the wisdom literature of the Bible, which includes books like Proverbs and Ecclesiastes, is a basic worldview that was held not just by the Israelites, but by all the people of the ancient Near East (ANE). That includes other peoples we read about in the Bible like the Egyptians, Assyrians and Canaanites. Even though all of these cultures worshiped different pantheons of gods in different ways, they all taught that the creator god fashioned the world so that it functions in an orderly way. This is the foundation of creation because it means that the sun rises and sets every day, the seasons pass to support the growing season and all of this, in turn, supports life. Sunflower seeds in Fibonacci spirals. 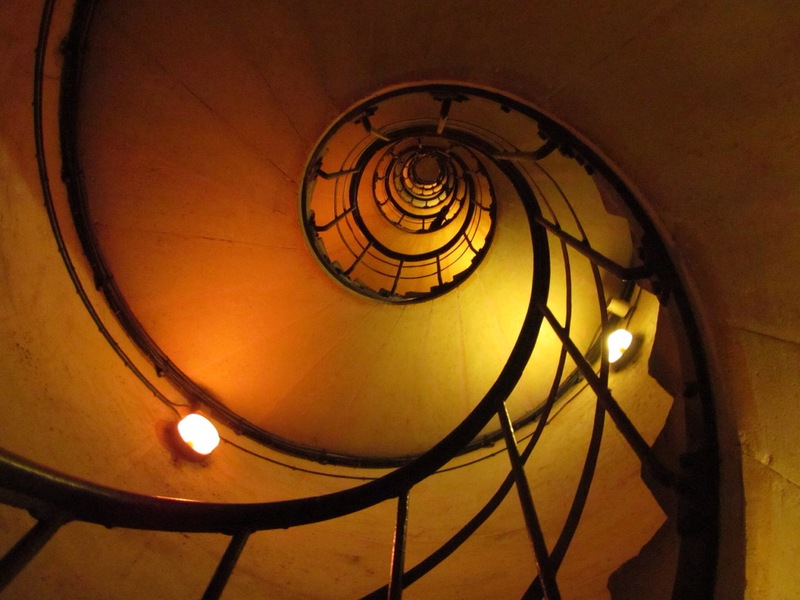 You can count the spirals going in the clockwise (34) and counterclockwise (21) directions. The numbers 21 and 34 are consecutive numbers in the famous Fibonacci sequence. Image credit Luca Postpischl. These examples of order are examples of physical order. But for the people of the ANE, creation was more than just physical because creation included other people and it also included the gods. The order of creation extends not just to the way we interact with the physical world but also to the way we interact with other people and with the gods (the moral and spiritual world). Once we’ve established the basic wisdom truth that the creator god made the world to function in an orderly way, there are four corollaries that add detail to the wisdom worldview. The first is that when god created people, he fashioned them (us) with minds and bodies especially designed to interact with the world around us. Because of that we can discover its regularity and learn to live in harmony with the creation order. As people observe nature they can discover that plants grow from seeds and that they start growing in the spring. And so people learn to control this process by harvesting the seeds and planting them as crops to produce food for human consumption. All of this is possible only because God created our senses and minds properly tuned to the world around us. Our eyes have been designed to sense the variations of light and send this information to our brains which process the data into a representation of the world that reflects its true nature. Our minds are even able to relate our observations one to another and perceive relationships of cause and effect. What is more, the wisdom worldview goes well beyond just understanding how to survive. We not only have the ability to avoid danger, find food and successfully reproduce; our human faculties enable us to understand what is morally true and even some things that are true about God, just by observing the world around us (Romans 1:19-20). For what can be known about God is plain to them, because God has shown it to them. For his invisible attributes, namely, his eternal power and divine nature, have been clearly perceived, ever since the creation of the world, in the things that have been made. A second corollary is that the order of creation is extremely reliable. Fall never comes before summer and the sun never sets in the east. In fact, even though the length of one day changes from week to week and season to season, the cycle of a day’s length repeats itself in an orderly manner from year to year. A third corollary is very important in the thinking of the ANE. The basic idea of the wisdom worldview is that as long as I live according to the order of creation, things will go well with me. If I try to live outside of the creation order, then things will not go well. For example, if I plant my corn on the fourth of July (when it’s already supposed to be knee high), then I’ve planted it too late in the growing season to expect a good harvest. In fact, I might not have any harvest at all, leading to an economic catastrophe for me and my family. The last corollary I’ll mention (there are more) is that the physical world cannot be separated from the moral and spiritual for the simple reason that we are physical beings. Our whole concept of what is right and wrong is based on physical interactions with creation and other people. There are not three orders: the physical order, the moral order, and the spiritual order. There is just one order and that is the creation order that encompasses them all. 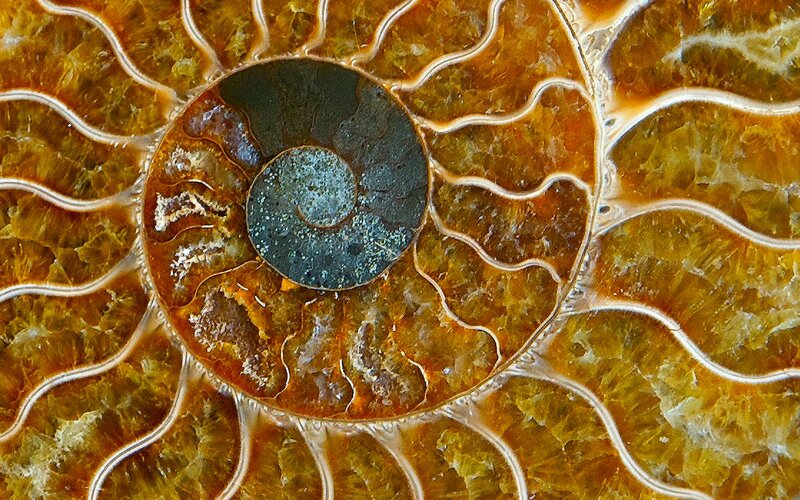 Polished ammonite fossil dispalying a fibonacci spiral. Image credit wplynn. If you spend a little time reflecting on the ANE worldview you will see that all of these corollaries are interrelated. For example, the fact that the creation order is perfectly reliable (corollary 2) makes it possible for us to observe and understand the workings of our physical environment (corollary 1). This understanding of the physical world results in advancements in technology (animal husbandry, the wheel) and culture (just law) that help us to experience a good life because we live in harmony with the creation order we have discovered. So far we have taken a look at wisdom in the ANE in general because all of the ANE cultures shared some common ideas about the world. We discovered that wisdom is not just something that people possess, it comes from the very character of God. We also discovered that wisdom is reflected in the order of the physical and moral/spiritual world around us and that we can discover and live in harmony with this order. But we need to go beyond ANE wisdom because evangelicals don’t subscribe to a polytheistic worldview and we don’t worship the sun, the moon, or the storm. We need to understand Israelite or Yahwistic wisdom. In the next post we’ll do just that by turning to a discussion of the fear of Yahweh. I read through your paper on plot of Genesis. It is written for the scholar who knows Hebrew. For the layman the Hebrew could be explained in ( ). The topics are mildly interesting to me (a layman). The patterns of Rachel compared to Sarah? and why Er and Onan. And why Tamar and Judah is inserted. It’s like you are trying to understand why the Holy Spirit wrote the way he did. I bypassed the theoretical and started at around page 247. The patterns are interesting. A,B, C, E, F, F’, E’, etc. I’m not sure your paper written for a layman would be interesting enough for someone to spend money to buy it or add lots to one’s understanding of the bible/faith in God but maybe it would. From a literary point of view, the patterns are interesting. Your attempt to make it interesting is a worthwhile effort. Great pictures of fractals and spirals. The edible plant “kale” grows it’s leaves in a spiral and is a perennial and an evergreen through winter.